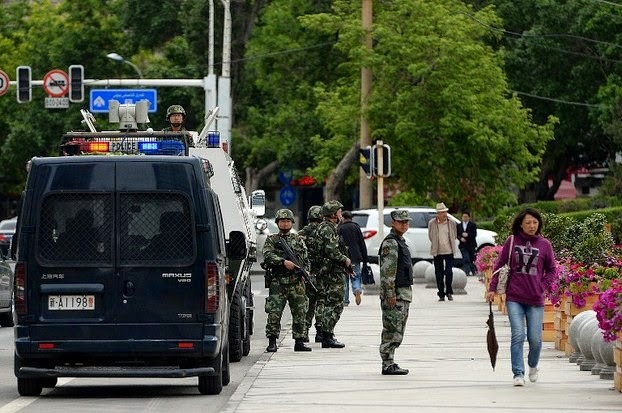 Fifteen people, including 11 mobsters, were killed and 14 people were injured in a terrorist attack in Shache County on Friday afternoon in northwest China's Xinjiang Uygur Autonomous Region, local authorities announced in a statement on Saturday. The mobsters threw out explosive devices and attacked civilians with knives at a food street in the county around 1:30 p.m. on Friday. Police patrolling nearby killed 11 of them. A number of explosive devices, knives and axes were found at the scene. 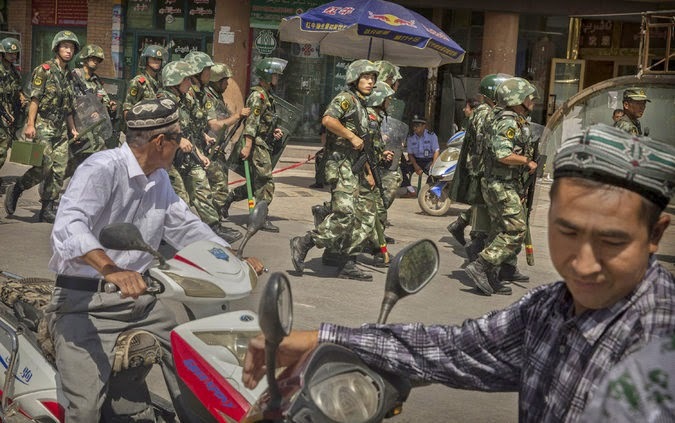 Urumqi in Northwest China's Xinjiang Uyghur Autonomous Region will for the first time recruit 3,000 ex-soldiers to protect residential communities, a move observers said is aimed at coping with increased violence and terrorism. All soldiers who left the service this year, who are under the age of 30, are "against separatism and illegal religious activities" and have no criminal record can apply for the job, the capital city's Civil Affairs Bureau announced Thursday on its website. The soldiers have to undergo an application process, which includes a political examination and health check before being hired. Once they become community workers, they will be paid at least 3,000 yuan ($500) a month and given a local hukou, or residence certificate, the recruitment ad said. Just as Afghanistan's new President Ashraf Ghani told SAARC leaders on Wednesday he would not allow a "proxy war" on Afghan soil, the country's former intelligence chief has warned China about the dangers of ignoring the terror threat emanating from its "all-weather" ally Pakistan. On Wednesday, Beijing received its clearest word of warning yet that its current strategy of ignoring other groups in Pakistan - and merely focusing on the ETIM - would not shield it from the rising threat of terrorism in the region. Amrullah Saleh, the former head of Afghanistan's National Security Directorate and a key figure in the country's security establishment over the past decade, called on China to "pay attention to the whole picture" and ask the question of why terrorists, including those from Xinjiang, had managed to find "sanctuaries across the border" in Pakistan. China on Friday lashed out at Turkey for offering shelter to roughly 200 Uighurs from the western Chinese region of Xinjiang who were rescued from a human-smuggling camp in Thailand. Turkey's state-run Anadolu news agency on Wednesday reported a request by Turkish Foreign Minister Mevlut Cavusoglu for Thailand to send the Uighurs there, a move that angered China, which views their move to Thailand as "illegal immigration". Asked for a response on Turkey's offer, China's Foreign Ministry spokeswoman Hua Chunying said the case was a matter for China and Thailand and "the relevant country" should stop interfering. 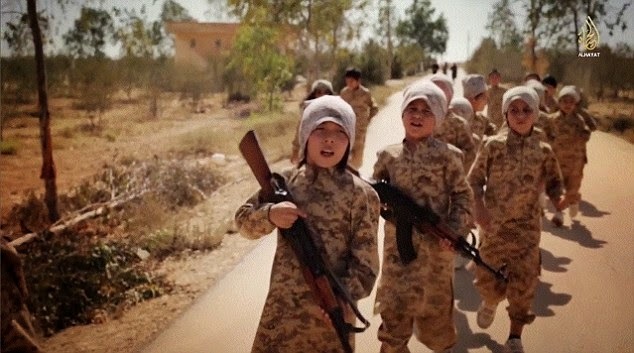 A new ISIS propaganda video has emerged on social media showing the indoctrination and training of dozens of child soldiers from Kazakhstan. Entitled 'Race Towards Good', the video was produced by the terror group's main media branch, Al Hayat Media Center. The dialogue in the video interchanges between Kazakh and Arabic, with three sets of subtitles including English. Kazakhstan President Nursultan Nazarbayev has held a roundtable discussion on industrialization with international experts and Kazakhstan officials, Tengrinews reports citing the press service of Akorda. He reminded that the new State of the Nation Address made earlier this month envisioned significant government injections to ensure a continued growth of Kazakhstan's economy and creation of new jobs. This, he said, would allow strengthening the financial system of the country and giving an impetus to the development of small and medium sized businesses. Georgia, located at the crossroads of Central Asia and the Middle East, is the connecting link between Western Europe, Central Asia, China and India, Georgian Prime Minister Irakli Garibashvili said on Nov.26. He made the remarks at Georgian-Latvian business forum with participation of Latvian President Andris Berzins. He said that a test train is expected to run on the Baku-Tbilisi-Kars railway by late 2014 and it is planned to complete the implementation of the project in 2015. 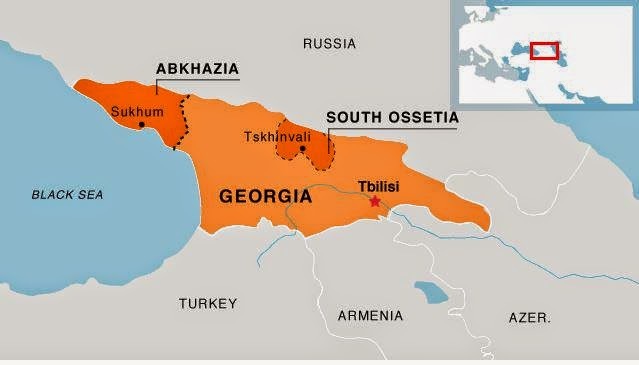 The signing of a new treaty between Abkhazia and Russia has caused outrage in Tbilisi. Prime Minister Irakli Garibashvili said he considers what has happened annexation. Georgian President Giorgi Margvelashvili went as far as saying that the treaty turns the breakaway region into a part of Russia. U.S., Georgia Intensifying Talks On "Weapons Procurement"
A flurry of high-level military visits between Washington and Tbilisi appears to be setting the stage for wider-scale exports of weaponry from the U.S. to Georgia. Georgia, for several years, has been trying without luck to get the U.S. to give or sell it lethal "defensive" weaponry, in particular anti-aircraft and anti-tank systems. But with the growing conflict between Russia and the West, the U.S. has stepped up its security assistance to its partners on Russia's borders, with Georgia looking to score a variety of potential benefits from the U.S. including increased military aid, sales of transport helicopters, and official "major non-NATO ally" status. NATO, too, has agreed on an increase in cooperation including setting up a training base in Georgia. So it wouldn't be surprising if the U.S. now decided to loosen its policies on allowing weapons exports to Georgia. Girgvliani, the head of the United Georgian Bank's Foreign Department, was found dead in January 2006 outside Tbilisi with multiple injuries after he had an argument with a group of high-ranking Interior Ministry officials in a bar. Prosecutors said in a November 27 statement that Saakashvili was an accomplice in the falsification of evidence in the case, along with Vano Merabishvili, who was then the interior minister, and other officials.